A negotiations update as well as addressing questions from some members who are asking why they do not receive information on what is happening at the bargaining table. 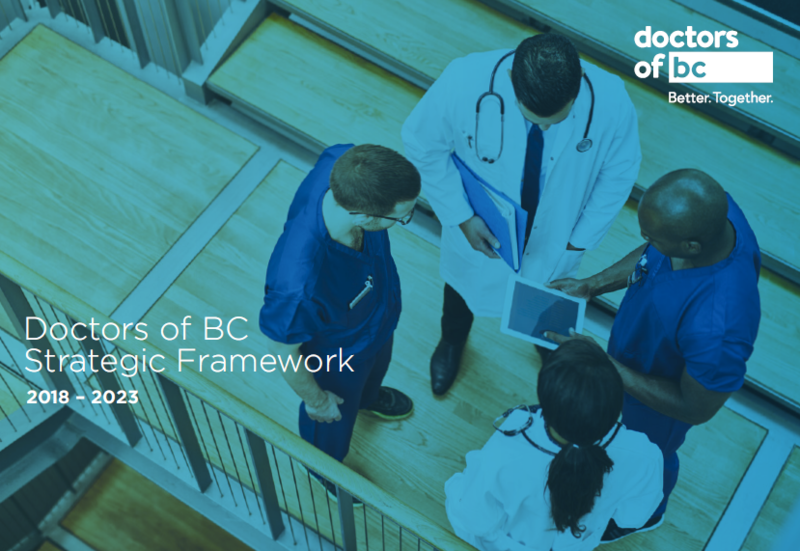 A discussion about primary care transformation and the need to clarify the roles being played by the organizations and/or structures representing BC physicians, and to work toward stronger alignment between them. A review of our committees. If you have any questions, or ideas, you can e-mail Board Chair Dr Jeff Dresselhuis at ChairOfBoardOfDirectors@doctorsofbc.ca. Contact information for Board members and Representative Assembly can be found here. (Note: you must log-in to the member’s site in order to view the contact information).